2Hawk Vineyard & Winery is one of the many friendly, low-key wineries you'll find in the Rogue Valley wine region. 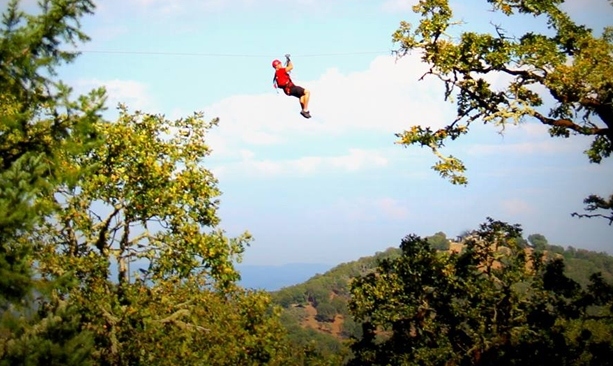 Rogue Valley ZipLine Adventures has a five-line guided zipline course with fantastic views of the valley and nearby peaks. 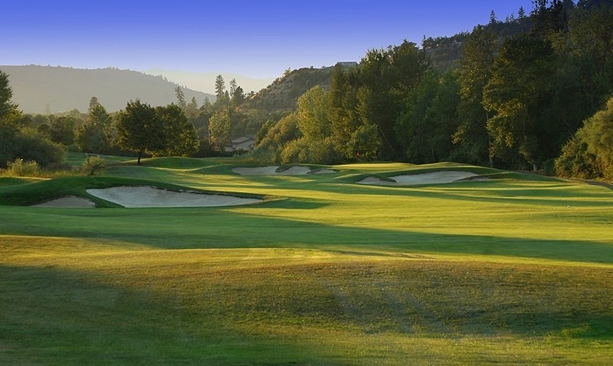 Hit the links at Eagle Point Golf Club, just 10 miles east of Medford. Set in the rugged beauty of the Rogue Valley, Medford (pop. 77,700) is Southern Oregon’s largest city. Visitors will enjoy the town’s network of green parks, walkable downtown, great food and a host of family-friendly activities. Fab for Families: Check out the Rogue Air Trampoline Park — 20,000 square feet of indoor airborne fun for all ages. The nearby Rogue Valley ZipLine Adventures has a five-line guided zipline course with fantastic views of the valley and nearby peaks. Kid Time! Discovery Experience offers engaging, hands-on learning opportunities and special events. Get Outside: The twin volcanic plateaus of Upper and Lower Table Rock are classic Medford area hikes. Look for early season wildflowers and migrating birds while enjoying the views from the challenging 3.5-mile Lower Table Rock and 2.5-mile Upper Table Rock. For a bit of golf, hit the links at Eagle Point Golf Club and Centennial Golf Club. 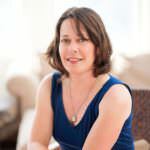 Vines & Wines: Wine lovers will enjoy the big reds and crisp whites here in the southern portion of the Rogue Valley wine region. Enjoy friendly, low-key wineries like RoxyAnn Winery, 2Hawk Vineyard & Winery, EdenVale Winery, Trium and Pebblestone Cellars. 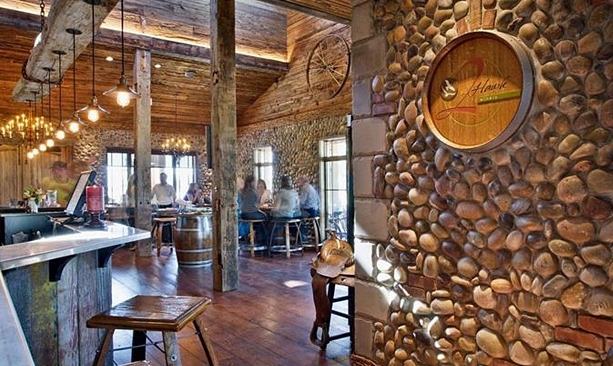 For maps and winery info, visit the Southern Oregon Winery Association web page. Center Stage: Craterian Theater at the Collier Center for the Performing Arts offers a range of world class music and theater with performances from the Next Stage Reperatory Company, Teen Musical Theater of Oregon, Rogue Valley Symphony and national traveling acts like Ladysmith Black Mambazo. Global Flavor: Enjoy classic steak and seafood in a historic train station at Porters Restaurant and Bar. Feast on traditional Mexican dishes at Habañeros Mexican Restaurant, the oldest Mexican restaurant in Southern Oregon. A casual atmosphere can be found at 4 Daughters Irish Pub, while Elements Tapas Bar is all about traditional Spanish small plates.